In Mongolia, the seemingly endless parade of meat, meat, and more meat, is only occasionally interrupted by vegetables. And, even then, relief doesn’t come with a garden salad, but rather some combination of root vegetables. This is because there really isn’t a whole lot of good farmland in the giant, cold, central Asian country – only the hardiest specimens make it. 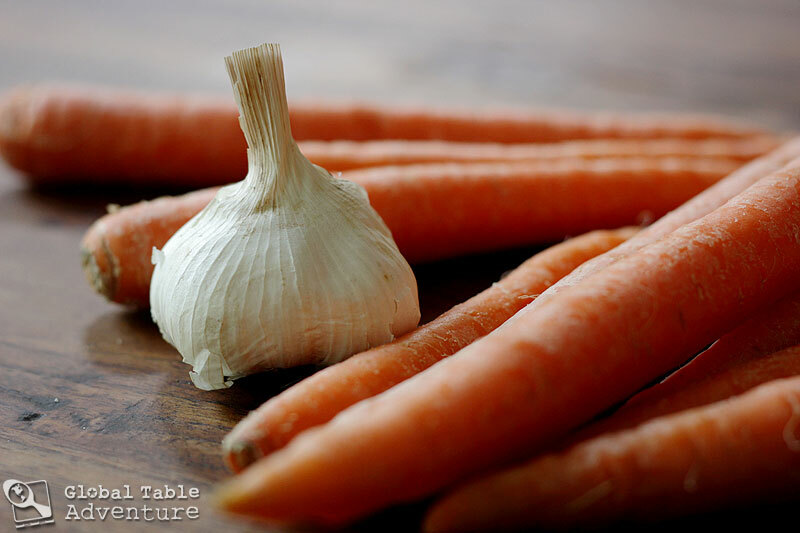 In the big city, versions of this simple carrot salad can be found, either dressed in a vinaigrette (as I have done) or in a mayonnaise/sour cream based dressing. So head to the market with me, and let’s stove top travel over to Mongolia! Ulan Bator, Mongolia. Photo by Mario Carvajal. After picking up some carrots and raisins at the local market, take a boat ride to a beautiful castle. Set up your kitchen in the highest tower. One should always make carrot salad in castles. 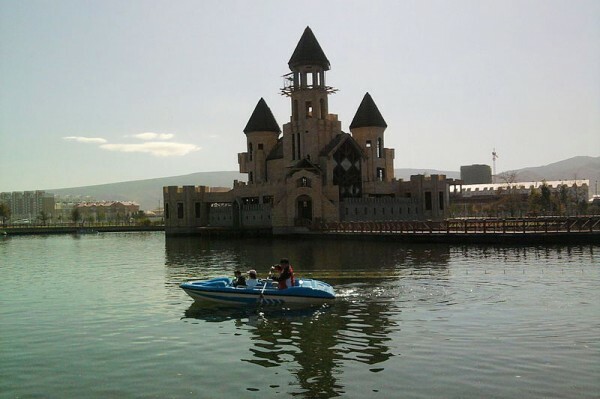 Rebuilt castle in Ulaanbaatar. Photo by Lady Anu. To get started, soak the raisins in very hot water until plumped up (about thirty minutes). Meanwhile, wash and peel a pound of carrots. Listen to some music while you work (perhaps some throat singing with wild Gobi Desert dancing?). 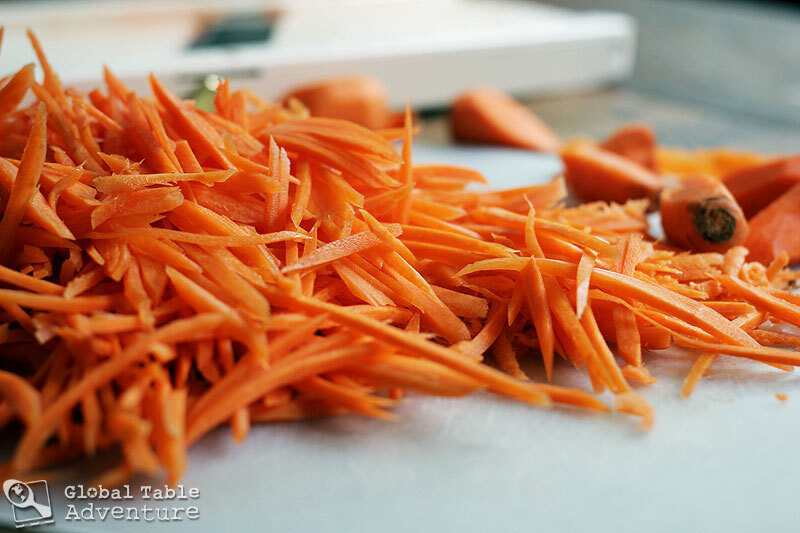 After peeling, grate or cut the carrots into juliennes (I used a mandolin to make them nice and even). They are like little sticks of happiness. Then whisk together the garlic, oil, vinegar, sugar, salt, and pepper together, making a vinaigrette (you might wish to double this recipe and add a bit extra, to taste, if you like a boldly seasoned salad, a.k.a. Vinegar City. I know I do!). 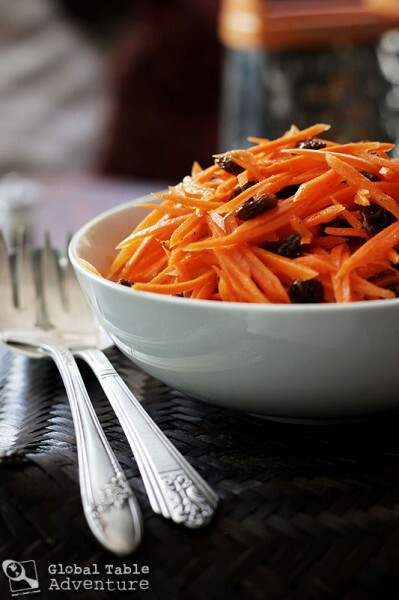 Toss the carrots, raisins and vinaigrette together. Cover and let sit in the refrigerator for at least thirty minutes, preferably a few hours. When it’s time to eat, toss, taste, and adjust seasonings. I ended up adding some extra salt to help the flavors shine. Enjoy while walking across a “carrot stick” bridge. Bridge above Ider River, Jargalant, Khövsgöl Aimag, Mongolia. Photo by Torbenbrinker. Or one that just looks like carrot sticks. It makes everything taste better. Promise. 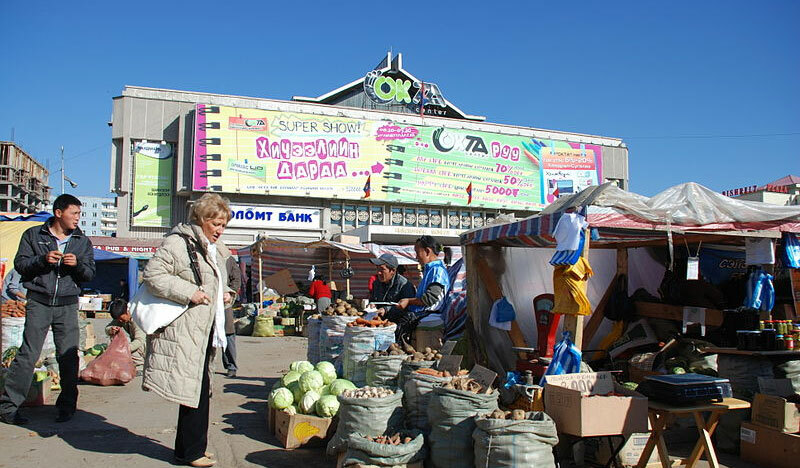 In Mongolia, the seemingly endless parade of meat, meat, and more meat, is only occasionally interrupted by vegetables. And, even then, relief doesn’t come with a garden salad, but rather some combination of root vegetables. 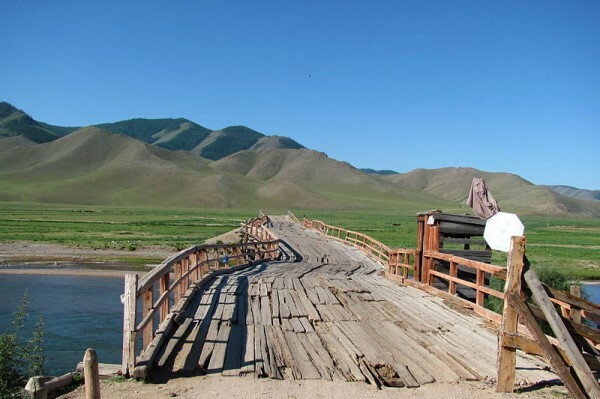 This is because there really isn’t a whole lot of good farmland in the giant, cold, central Asian country – only the hardiest specimens make it. In the big city, versions of this simple carrot salad can be found, either dressed in a vinaigrette (as I have done) or in a mayonnaise/sour cream based dressing. Meanwhile, wash and peel a pound of carrots. 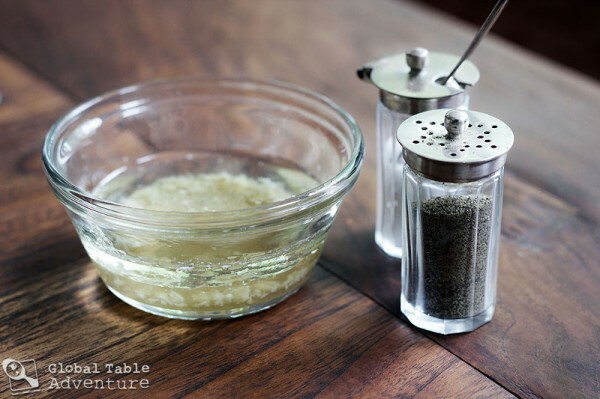 Then whisk together the garlic, oil, vinegar, sugar, salt, and pepper together, making a vinaigrette (you might wish to double this recipe and add a bit extra, to taste, if you like a boldly seasoned salad. Be sure to use plenty of salt to bring out the flavors. I usually make carrot & raisin salad with seasoned rice vinegar or cider vinegar. Can’t wait to try this more savory version with the garlic & white vinegar!!! I’ve been making this salad with rice vinegar for years. It’s great! Who knew it was Mongolian?!?!? This is a toddler dream! 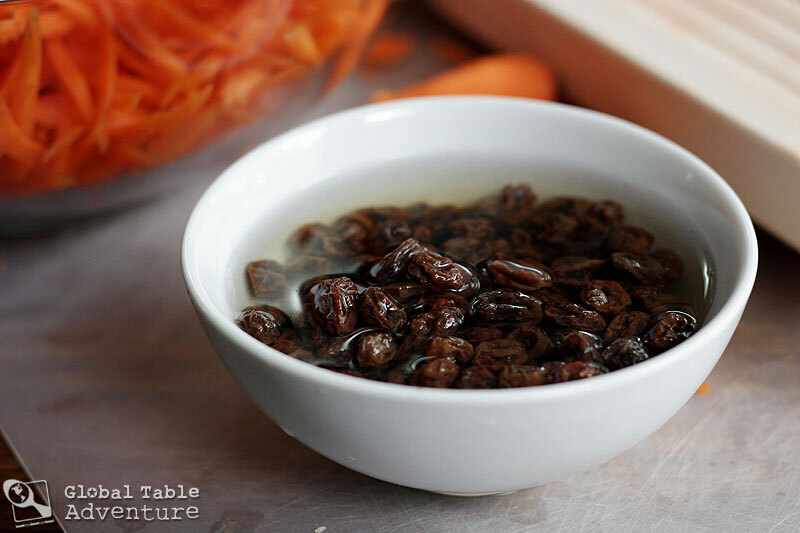 Carrots AND raisins? As to the poll- I can’t keep my kids away from the carrots in the garden. They’re always finding the “biggest leaves”, pulling them, wiping them on the grass and eating them. I’m half proud, half grossed out. “I’m half proud, half grossed out” < hahah this cracked me up. As a fellow gardener, I can totally relate. Ava loves grabbing tomatoes off the plant and, if I don't get there quick enough, she will eat the whole thing before they are washed, or even dusted off. 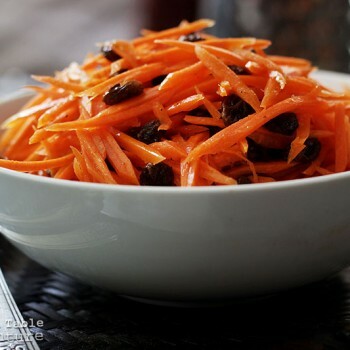 This carrot salad looks like a great alternative to the usual potato salad and coleslaw that turn up at every summer BBQ. I’m looking forward to trying it soon. Neat! My grandmother has been making this salad for decades, with the garlic and also with the vinegar, but she’s definitely Scottish through and through. She’ll get a kick out of knowing it’s got Mongolian origins! I put either way on the poll, but I would like to add that I’d eat them straight from the ground, too. Probably more often that way–I wouldn’t have to wait! If your health allows you, walk up to the top, otherwise take a cable car. Stir and then microwave for five more minutes, stirring after every two minutes. bodice to give it a different look. 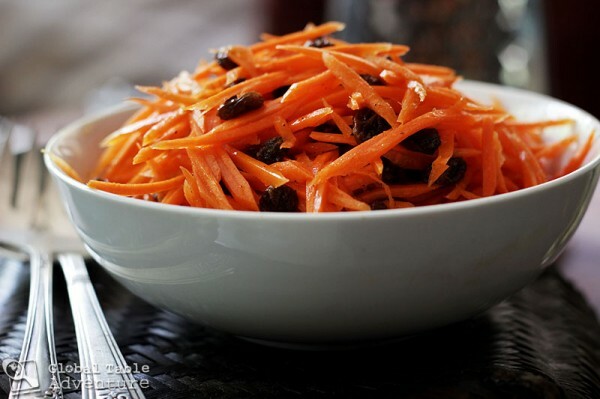 I lived in Mongolia for 5 years and their carrot salad, and potatoe salad is awesome!! I was going to make this, and then noticed the castle is required. I’ve invested in a pressure cooker at great cost, but a castle is a step too far!